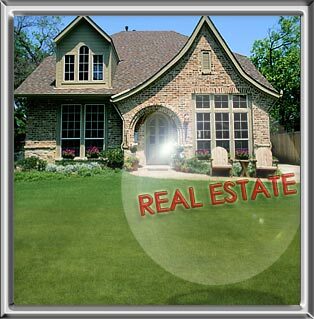 Buy, sell, rent your real estate assets, house,land and immovable properties in this most popular Chennai City Portal at the best price - FREE. Your ads will be displayed with a similar layout you see in the print media. Wanted for small family for Rent: 2BHK FlatIndividual House, Min 600 SqFt or above, Max Rent 7000. Areas: Ashok Nagar, KK Nagar, Vadapalani, Saidapet, Guindy, Ekatuthangal, Alandur, St Thomas Mount, Pazhavanthangal, or Kodambakam. Kodai Bliss-Plots for sale at kanal Beside the waterfalls, cascades and green slopes there are more about kanal that promises to make your holiday a memorable one in kanal. kanal is a mesmerizing hill station located amidst the Palani Hills of South India. 20 Grounds vacant land in NH Road, Nungambakkam, Opp Taj, for sale @Rs.8 crores each. No brokersNo JV. Only direct buyers to contact 8056110561. SANALI GROUP revolves with the customer at its center. In this light, a comprehensive portfolio of â€˜diverse construction projects under one roofâ€™ has been the aim and achievement of it. World Trade Development Federation has conferred International Status Award for Mr.Mohammed Noor Ul Haq of Group in a colourful ceremony held at New Delhi. International Integration and Growth Society has conferred Udyog Prattibha Award to Mr.MohammedNoor Ul Haq of Group for his outstanding contribution in the construction field. project specification of porur mangadu 3300- per sqft We Vetri Foundations provide you this Sapphire Palace located at Mangadu. note total 24 flats 19 have sold only 5 flat avilable STRUCTURE:Reinforced Cement Concrete Structure with 9" walls and 4.5" walls. WALLS:All walls will be built using quality bricks and mortar. PLASTERING:Two coats in cement mortar with sponge finishing for external walls and smooth finishing for internal walls. FLOORS:Main Living room,dining,kitchen bedrooms will be covered with choice of high-end vertified tiles (2x2). Ceramic tiles for toilets wash area Sit outs. KITCHEN:Polished granite counter top with stainless steel sink and drain board will be provided. Glazed ceramic wall dado of 2" height will be provided above granite counter top. BATHROOMS:Beautiful dual tone wall dado tiles and borders upto 7" height. DOORS:The main door to be framed in teakwood frame with teak wood shutters with safely gate.Internal bedrooms balconies to be framed in country wood.Toilets doors will feature PVC flush doors. WINDOWS:Vengai wood frame with glazed shutter with built in iron grills. BALCONY:Powder coated steel pipes and steel rods will be used. PLUMBING:Concealed piping of CPVC PVC pipes. SANITARY FITTINGS:Standard Cp fittings with one Indian one Western closet. ELECTRICAL FITTINGS:Standard electrical fittings, standard switcher with adequate number of points. PAINTING:Internal wall with emulsion paint.Water proof paint for exteriors.Wood works with enamel paints. WATER CONNECTION:Metro water connection to each block and also water from bore well. SEWAGE:Sewage line connected to septic tank. PARKING:Ground floor car parking. EXTRA CHARGES:For registration, electricity car parking. Just behind Mangadu old bus stand. 5 Mins walk to Mangadu temple. Pollution free full Residential area. Sweet Ground Water. 1.5 Km from Kumananchavadi Junction. 7 Kms from DLF IT Park,Porur. 3 Kms from Sri Ramachandra Medical College Hospital. 3 Kms from Muthu Kumaran Engineering College. Situated in the fastest appreciating and fully developed Porur Poonamallee Belt. Very Near to Muthu kumaran Medical College and Hospital. A.C.S Medical College and Hospital and Savitha Dental College. Adjacent to Nava Bharat Matriculation School P.S.B.B Matriculation School. Mangadu Public School (CBSC),J.J Shankara Junior College (CBSC). Well developed Residential land for sale at Moodbidri. Just 6km away from the heart of the city. 66 cents is available for sale at the price of 1,60000cents. Interested parties may contact Ranjith Kumar +919880890029. First Floor 2BHK flat available for rent for family(or) bachelors at 1938 second street, postal colony, West Mambalam, Flat situated at Rear side and Car parking in roadside 12500 + 500 for maintenance negotiable 9790963305, 42129286, 9940648455. Agricultural land for sale at Moodbidri..5.50Acre Patta land, 3250 arreca nut tree with yield and approximately 250 coconut tree. RCC house ground+first floor, The site is located bank of the river.. approximately 500mtr around the plot. 1km distance apart from the main road. The site just 10km away from Moodbidri city... The price of the land is Just Rs8000000(neg). Interested parties may contact Ranjith Kumar +919880890029. Maxworth Realty is one of the leading land developers based at Bangalore. Ever since the establishment of maxworth realty, we have worked hard to create a place of respect for ourselves.